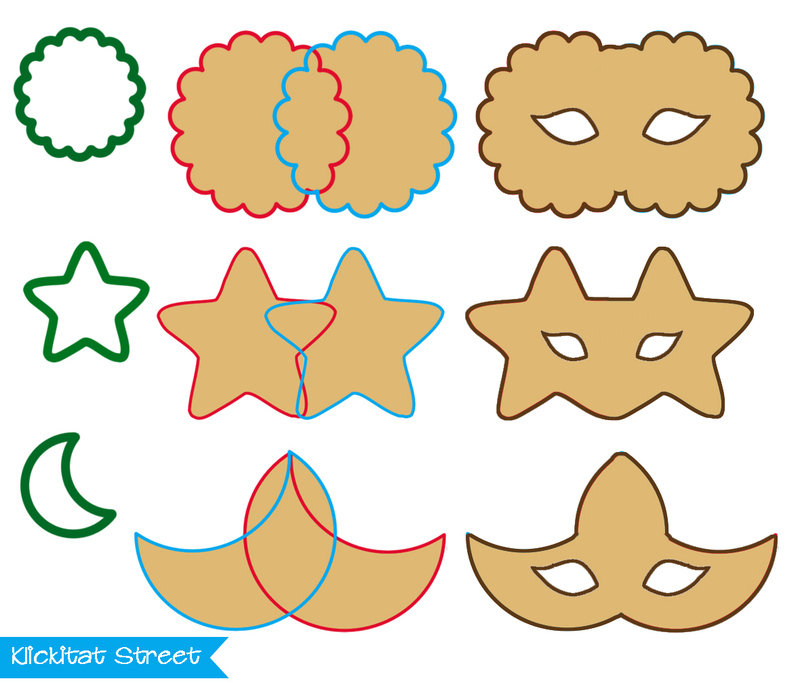 Mardi Gras may have come and went but I suppose there are lots of times when you'd want mask cookies so I figured I'd show you how I cut the cookie masks I made last week. 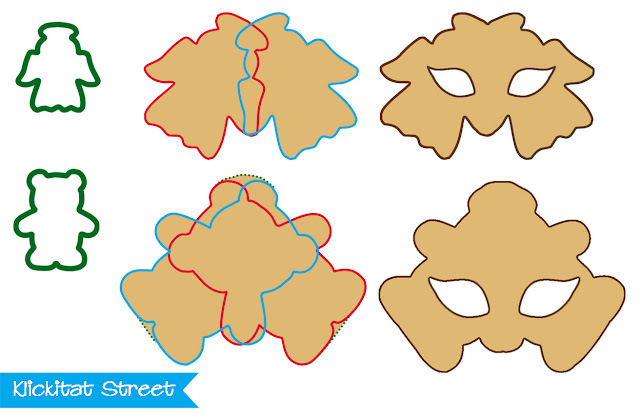 The cool thing about cutting these shapes though is that you could use them for all sorts of cookies. 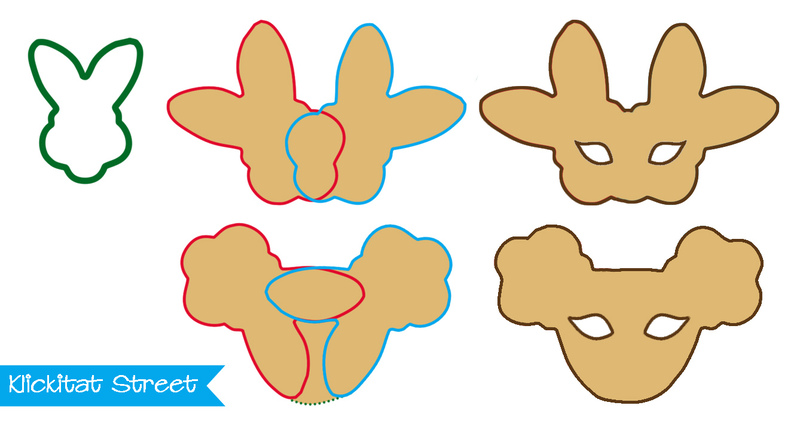 Many of the cookies end up looking like intricate birds or butterflies. For this Venetian style mask I used a flying heart cutter. The "trick" is just cutting the shape then simply rotating the cutter and cutting again. I cut out the eye holes with a basic leaf cutter but that's completely optional. You'll notice there are several little pieces that result from the cut. If I had tried to transfer this cookie in pieces and reassemble it on the baking sheet it wouldn't have worked. (I learned this by trying to do it, heh) So instead, I rolled and cut the dough on it's own piece of parchment paper and then transfered the whole cookie at once by moving it on the paper. That way none of the pieces were disturbed and once it baked it was just fine. For this larger mask I used just a basic heart and then cut the bottom with a knife. All the cut lines left in the cookie after it baked were actually quite useful here as guides for the piping. You might think it would be difficult to get the second cut in the right place but it's actually really easy! When you are moving the cutter around after the first cut you can see the place in the middle where the cuts will overlap. 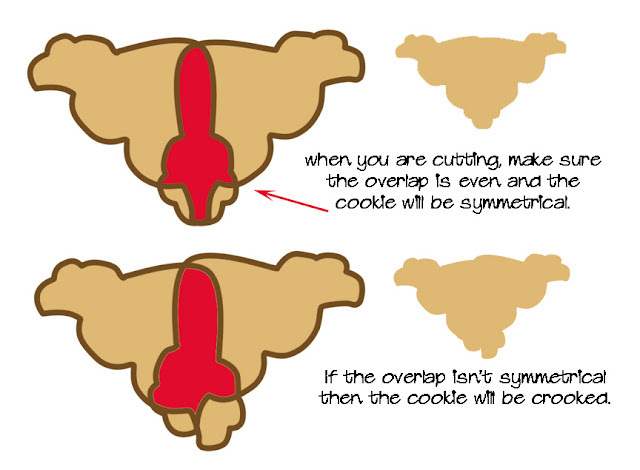 All you have to do is eyeball the overlap to be even and the cookie will be straight. I got a little carried away making mask shapes. I couldn't make them all into cookies so I thought I'd show you some of them digitally. 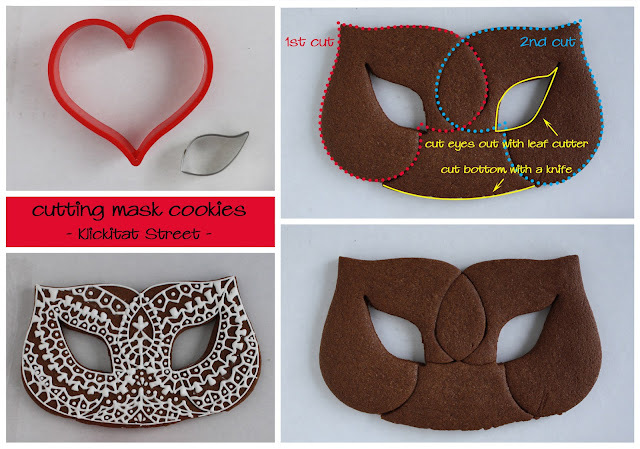 Any symmetrical cutter in your bin will make an interesting and intricate mask. Even basic shapes work really well for making complex shapes. 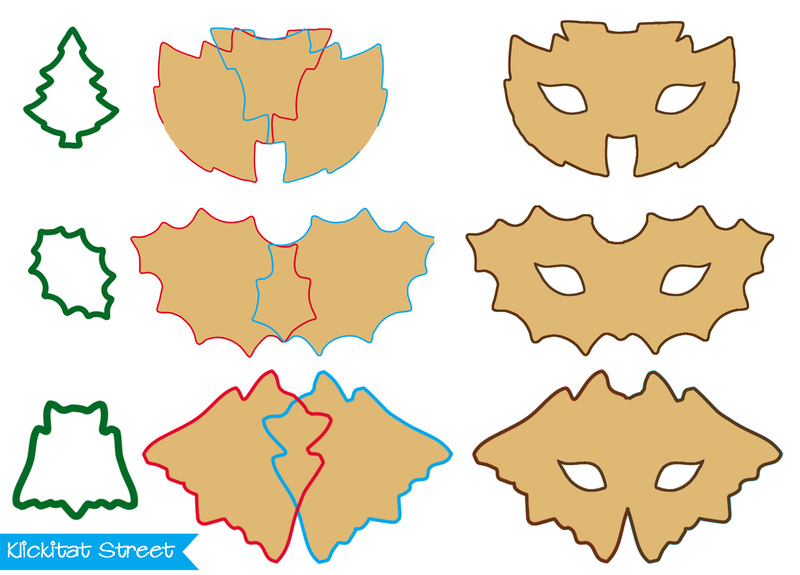 Cutters with lots of pointy edges like leaves, trees, holly, bats, werewolf heads...make really cool masks. You may need to trim a stem or trunk here or there but you get some great shapes! Any symmetrical cutter, regardless of what it was "supposed" to be will give you something interesting when you double it up. And of course depending on how you turn the cutters you get a totally different shape. As you can see I totally got carried away with this idea and I hope you can use it some time too! I love how intricate the cookies look but how crazy easy they are to cut! WOW, you are amazing!!!! Thank you so much for sharing!!! You are so creative! Thank you for such great ideas! oh my gosh!! SOOOOO creative!! Thank you for sharing!!! great idea!!! that is amazing!! This is not only so creative, but I appreciate the time it must have taken you to make all the illustrations for the post. omg..................who knew! Thanks you so much for the ilustrations! They were great! Wow Sarah! How incredibly creative of you! Absolutely wow! Thanks for sharing! Okay so....you are brilliant. Not only is it so super cool that you can basically make a mask out of anything AND you showed us all how to do it, but you are also super techy girl and made all those cool graphics. Thank you for doing this. Those of us who have difficulty figuring out how to reuse cutters REALLY appreciate this! You are just pretty doggone clever...I am impressed!!!! Thank you for sharing this with us! Aw, thanks everyone! I'm glad you all liked the illustrations too, I'll try to do more of that in the future! AHHHHMAZING!!!!! How did you make those graphics so well???? 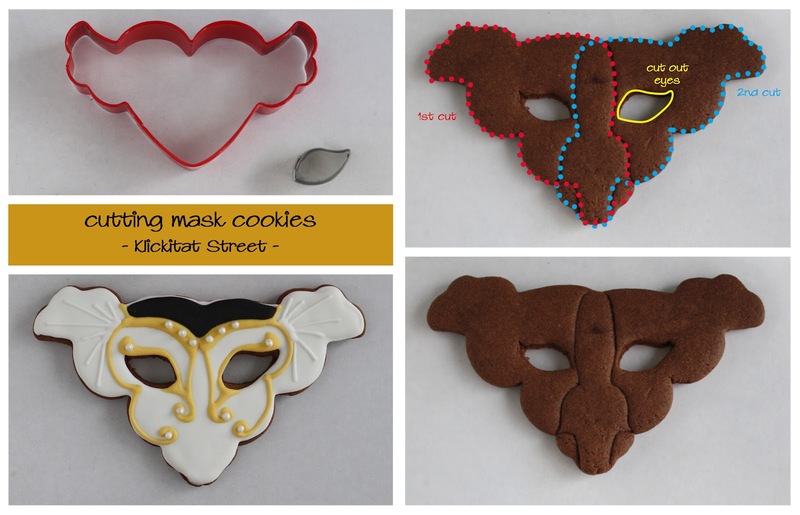 And what vision you have to see all those different ways to make a mask!! LOVE them all....thanks for sharing your talents! omg, this is amazing, what ingenious idea! I will have to apply your techniques to my papercrafting. Thanks for all the illustrations! I did something similar with my Mardi Gras masks but your shapes are over the top !! HOLA, ERES INCREIBLEMENTE GENIAL, MUY CREATIVA ME ENCANTA TU TRABAJO. Thank you so much, for sharing your artful work. Chapeaux! Will there be a printable version? Es increíble lo bien que te explicas, ilustras y decoras las galletas!! Absolutely wonderful blog post. Thanks so much. I now live in Switzerland and cannot get back to Louisiana this year for Mardi Gras. I will now make these in addition to the mandatory King Cake. Thank you for such a great idea. Regards from Spain! I can spend hours on your blog! Your work is amazing!